Pirelli have allocated extra sets of developmental tyre to each team to get ready for next year. Ferrari: Lots of flo-vis paint all over Massa’s front wing. Alonso spent time on the pit wall watching the action. Massa goes out with his front wing now covered in sensors to keep an eye on the flexing. Alonso has an issue with his engine with 6 minutes left of the session, he stops just after turn 2. Engine failure confirmed by Ferrari. Force India: Hulkenberg in for Sutil. Hulkenberg with half an hour in is in a good P6. Hispania: Charouz in for Liuzzi. Charouz gets a swift lesson in being a backmarker from Button. Charouz is the first to be heard to mention the tyres falling away, his notes it’s after 2 laps. Lotus: Razia in for Trulli. Running a new rear wing (lower angle) in order to get closer to the teams in front during qualifying when DRS isn’t restricted. The team feel closer to the teams on Sunday when DRS is restricted. McLaren: A podium for Button here on Sunday will secure his second place in the drivers fight. New rear wing endplate for the car. The team are the first to get into the 1:13s. Mercedes: Rosberg is the first to set a time. Schumacher slips and slides about a bit with the odd lock up. Red Bull: Vettel is sporting a helmet camera. New barge board for the team. Webber has complained about the new position of his pit box being too close to the garage, and therefore photographers/mechanics. Modifications have been made to the front end of the floor, gluing tiny components on. Vettel is having a few issues with his rear end. 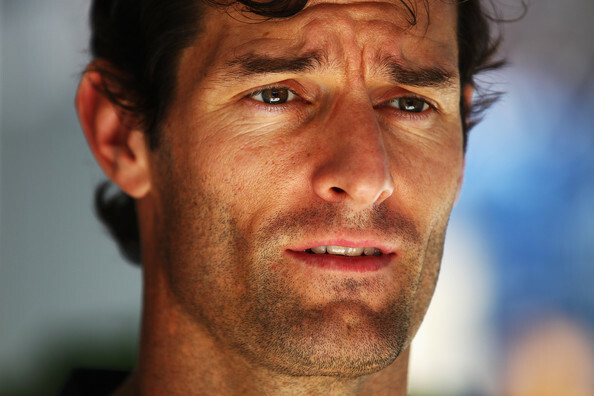 Webber is finding some form with 20 minutes left to beat the McLarens. Vettel changing front suspension torsion bars, and is also running a different front wing to Webber, newer. Renault: Grosjean in for Petrov. The team is testing out a new suspension. New front wing on Grosjean’s (Petrov) car. Grosjean stops at the pit lane exit, possibly stalling in on a practice start with 25 minutes left on the clock. Reports are that it was a clutch issue. Sauber: Kobayashi has a helmet designed by the band Linkin Park, which will be auctioned for tsunami relief in Japan. Kobayashi spins turn 10 giving a brief flicker of yellow. Toro Rosso: Vergne in for Buemi. An interview with Marko had led to speculation that the line up for 2012 remains unchanged. Alguersuari informs his team that he’s struggling with his tyres. Williams: Barrichello has an Ayrton Senna inspired helmet for the weekend. The team are checking out the rear wing, making sure they have the right levels for the race. Virgin: No more news on who will be taking the other seat at the team, at the moment it looks like Pic will be joining the team. Line up will be confirmed ‘after Brazil’. Glock reports to the team that his car keeps getting ‘slower and slower’. Ferrari: Alonso is back on track after an engine change. Alonso is seen to be getting a little too much on the kerbs, and drifts around some corners. Massa’s rear wing gets replaced with 24 minutes left. Race pace indicates they slot in behind McLaren. Hispania: Liuzzi is back in the car. Rear traction is something being worked on. Lotus: Trulli is back in the car and with 17 minutes left he says the car is unpredictable on the options. 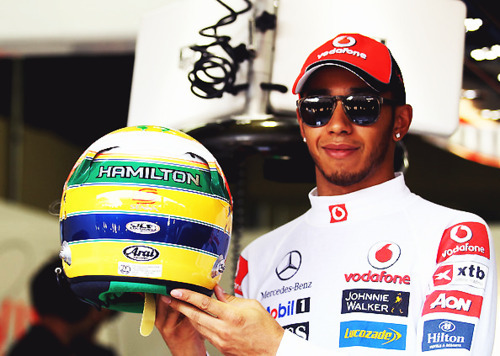 McLaren: Hamilton is looking pacey early on in the session. Both drivers are top of the time sheets with just over an hour to go. The front end of Button’s car is off, reverting the car back to the mornings set up. Hamilton goes quickest when he gets the softs on with 35 minutes on the clock, and keeps going quicker. Race pace for the pair is behind Red Bull. Mercedes: Schumacher goes top of the timesheets with 40 minutes left. Red Bull: With 40 minutes left the drivers are in P5/6 following a steady session. On race simulations the duo seem to be ahead of the field posting consistent times on high fuel. Renault: Petrov is back in the car and the clutch issue has been rectified. Petrov has reported a lot of oversteer and locking up on the rears, Senna is reporting mid-corner oversteer. Sauber: Both drivers are showing good pace considering the form they’ve shown recently. With 11 minutes left Perez loses his gears and stops on the approach to the pit straight. Toro Rosso: Buemi is back in the car. Lack of grip has been reported. Williams: Barrichello reports he’s struggling with mechanical grip throughout the whole session. Virgin: Glock handles some snap oversteer in the fastest corner around the circuit, and reports to his team he doesn’t have much confidence in the rear balance of his car throughout the session.